The work of a rural doctor includes not just primary care but also emergency medicine, palliative care, obstetrics, anaesthetics and some surgery. Often with no option to refer to specialist colleagues immediately to hand, rural doctors have to train to be a true ‘swiss army knife’ rather than a finely-honed scalpel. Casey Parker covered this nicely last year at smacc2013 in his ‘Macgyver Dilemma’ talk. Readers of this blog, or anyone who was unfortunate enough to hear my profanity-laden talks at smaccGOLD, will know that I am a fan of the maxim “critical illness does not respect geography’. My mission is to improve the quality of critical care in the bush – inspired mostly by colleagues like Minh le Cong in Queensland and Casey Parker in Broome. Dealing with critical care, whether polytrauma, sepsis or cardiac catastrophe can be stressful for the occasional operator – nevertheless, it is a core skill expected of rural clinicians and one which I am determined to make better. With no disrespect to my intensivist colleagues and their machines that go ‘ping’, it seems that most critical care comes down to doing the simple things well. The results from the ProCess trial reinforces this concept, as do easy to remember acronyms such as FAST HUGS. 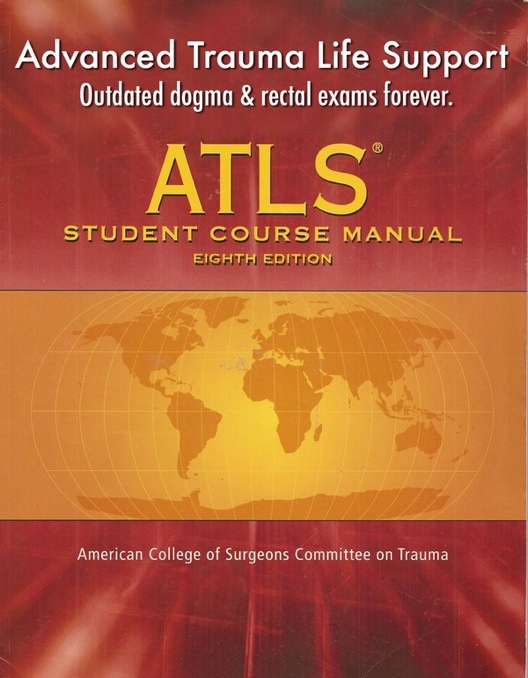 Courses such as ATLS-EMST, APLS, RESP (REST) and ELS set a minimum standard, usually for credentialling purposes. But they do little to advance skills in managing critical patients. Thankfully FOAMed helps – the sharing of tacit knowledge amongst clinicians, as well as shortening the knowledge-translation gap. For me, the past 2-3 years have been evolutionary & revolutionary – learning and applying techniques such as apnoeic diffusion oxygenation, tweaking ventilation strategies, exploring dogma around C collars, log rolls, sepsis and so on have reinvigorated my thirst for knowledge. I’ve also delved into areas such as human factors and the science of checklists, which I would never have expected. Difficult airway management and kit for the bush has become my passion. So – Airway, Breathing, Circulation. Or Arrive, Blame, Criticise. Or Always Be Cool. Your choice. One of my more cynical colleagues used to say “if you are stuck with a critical patient and have no idea what to do, wait ’til he/she arrests – then you’ll have an algorithm to follow”. This nihilistic approach kind of distills all of clinical medicine into one algorithm, but is NOT recommended! Australia is blessed with excellent Statewide retrieval services. Pick up the phone and speak to a colleague if you have concerns. Even if your patient doesn’t need retrieval, speak to a friendly ED consultant in ay of the major teaching hospitals. Use adjuncts like a handsfree telephone so you can talk whilst still doing things (placing lines, drawing up drugs); better still, use a video link so that colleagues can assist you by seeing the patient as well as yourself. I had a play around with GoogleGlass during smaccGOLD and there are plans afoot to run collaborative resus using this novel technology. 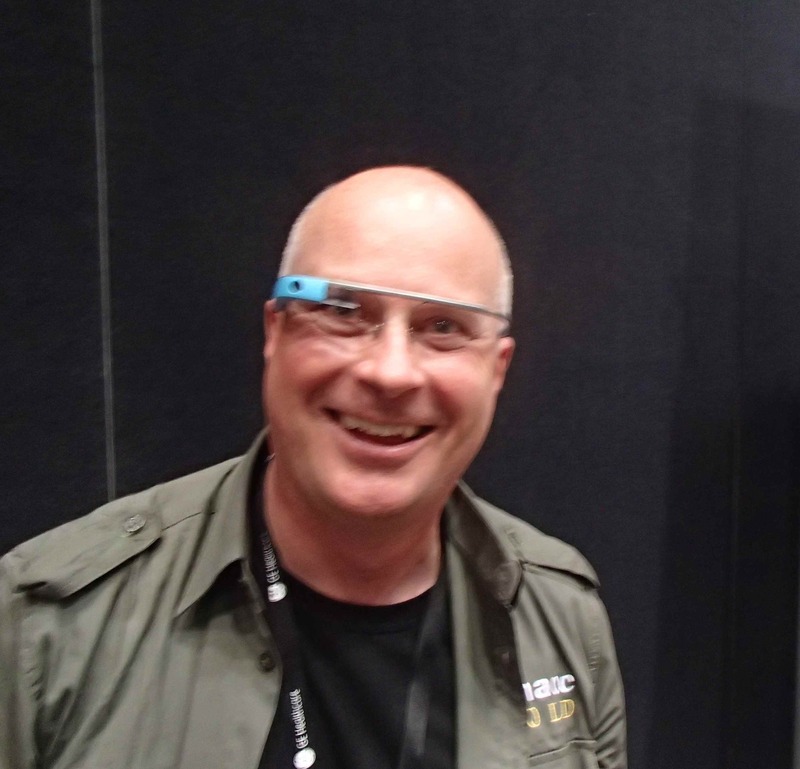 GoogleGlass – could revolutionise remote area resus…depending on the muppet wearing ’em! I could wax lyrical about ‘anticipated clinical course’ for hours. But put simply, make sure that everything you do ‘value adds’ to patient care. The monitoring cables & lines always seem to be totally tangled by the time the patient gets to ICU no matter how careful you are in ED. As well as ensuring two functioning (wide-bore) IVs, use minimum volume extension sets to run infusions and for small titrated doses. Plumb these to the head end, for easy access during transfer. 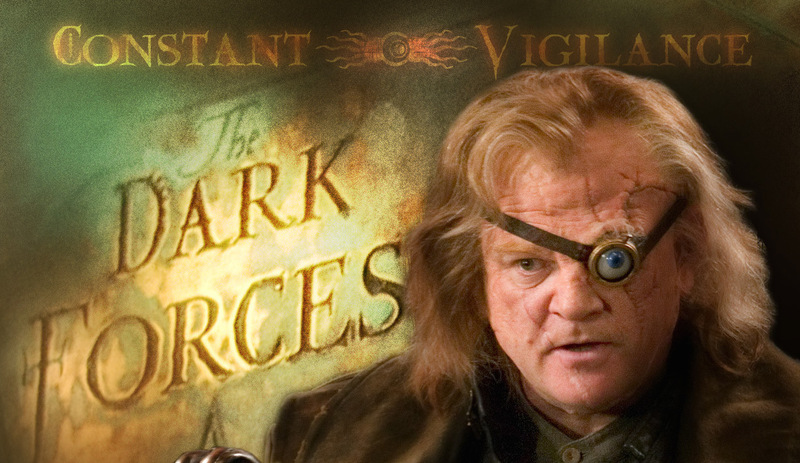 Remember Mad-Eye Moody – practice Constant Vigilance! Just when you think everything is under control & relax a bit, the Gods of EM will kick you in the teeth. Very hard. Usually on the ‘easy’ patient not the one you are worried about. The enemy of success is HALT – being Hungry, Angry, Late or Tired. If you are going to be in a prolonged resus or retrieval, make sure you have an empty bladder and a full stomach. Don’t turn down the offer of a coffee. Similarly if you are a rural doctor on for the interminable Fri-Sat-Sun shift and have had a big resus eeping you up all night, delay the morning ward round by a few hours and ensure the triage RN doesn’t call you for trivia – catch a few zzzzzz’s. Experience allows you to make good decisions. But experience is often gained by making bad decisions…be proactive and use FOAMed to tap into the collective wisdom of clinicians worldwide. I believe that tapping into FOAMed helps make me a better clinician – simple things, like action cards in the ED, use of a crisis checklists, team training and use of sim, apnoeic diffusion oxygenation, difficult airway planning & kit, minimal volume resus, tranexamic acid and so on – these are all things that I’ve picked up through FOAMed, not annual refreshers or mandatory credentialling. Similarly learn directly from the experts – make sure you are there to handover the patient to retrieval (yes, yes..I know – if a patient is sick enough to be retrieved then you’d think that a doctor would remain with them, but occasionally once stabilised the attending rural doctor will be called away to other patients). I think it’s important for rural doctors to be involved in audit of difficult cases. Our local Health Service mandatory annual audit mostly consists of making sure appropriate paperwork has been completed for expected deaths in the nursing home – not audit of critical care & retrieval cases! Changing that culture is but one way to strive to improve, not just individual clinician care but a whole systems approach (right equipment, training etc). Again FOAMed delivers tangible benefits much quicker. Any more pearls from the collective?